Home Kansas News Home Economics Planning Some Home Renovation? (NAPS)—If you’ve repainted the walls, added new furniture and changed your sofa pillows, yet something is still amiss in your home, consider that large surface area: the floor. Floors set the tone of your living space. To avoid surprises and unexpected costs, try these tips from the World Floor Covering Association. When it comes to selecting the most appropriate flooring for your home, consider how it will be used and how often. A high-traffic room demands materials that can stand up to wear and tear. High-quality flooring is essential. And buying from a reputable retailer—one who knows their products, gets to know their customers and will be there to stand behind what they recommend and sell—is going to pay off down the road. Not all flooring is the same. In every category—carpet, tile, resilient, laminate, hardwood—there are products of varying quality. 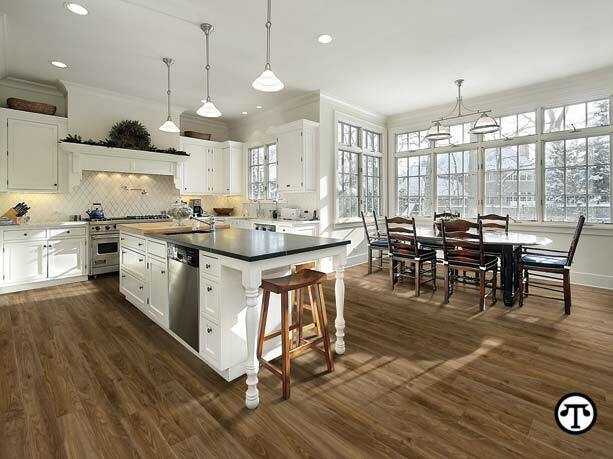 It is important to do your research and, just as important, to work with a retailer who has firsthand history with the flooring products they sell and the manufacturers that make them. Maintenance is another key consideration. Some floors require more upkeep than others. For instance, some types of hardwood can become dull if not swept or mopped daily. If you have kids or pets, consider the following: multi-colored, textured carpet to hide blemishes and wear; engineered wood offering diamond-hard surface treatments to avoid abrasions; or resilient vinyl, which can be made to look like many other types of flooring and is very durable and easy to clean. Ceramic tile is another good option for high traffic. The area of the country in which you live has an impact on the flooring you choose, too. How much sunlight does the room get? Many flooring materials won’t fade, but some—including carpet—might. Humidity can affect durability. Some floors are fine in humid environments but others—such as wood—are not. Are you considering radiant heat under your floors? Not all surface materials are compatible with this option. Working with a knowledgeable retailer will be very helpful when making final decisions. Think about how the room will be furnished. Would you like to warm up the room with a carpet or cool it down with ceramic? Do you want a patterned or brightly colored floor to liven up neutral furniture or a quiet background to help statement pieces stand out? Cultivate your own design ideas, then call on the knowledge and experience of a reliable flooring retailer to see it through. Check out your flooring options in person. Online research is important but talking with a professional who deals in flooring every day is essential. Plus, there’s no substitute for seeing and touching the flooring you wish to purchase. Does the retailer offer a complimentary inspection prior to installation to determine what kind of substrate you have and whether it is flat? What does the retailer charge to remove and dispose of old flooring? Removing flooring can increase costs substantially, so you may want to find flooring that can go over your existing flooring. Will your doors clear your new floors? If not, the doors may need to be trimmed to accommodate the new height, or you might want to choose alternative flooring materials. Does the retailer charge to move furniture? Be sure to mention heavy items that might not be found in every home, such as a piano. If the new flooring is going into a bathroom, will the retailer remove the toilet as part of their installation? Does your new flooring need to be acclimated prior to installation? Will the installers clean up after themselves? The retailer should provide a checklist on how to prepare for installation. In addition, if your renovation project involves painting or staining walls where new floors are going to be put down, the wall treatment should be completed first. Clear the room. Remove fragile and valuable items and appliances, books and decorations. Artwork and photographs on the walls should also be taken down. Clear a path for the installation crew to carry bulky, heavy items in and out. When they arrive, ask the installers to go over their plans with you so you know exactly what to expect. Make sure patterned floors will be set down in the right direction. Thoroughly inspect the flooring. Immediately bring any concerns to the store’s attention. Most importantly, enjoy your new floors! For further facts or to find a nearby flooring retailer, visit the World Floor Covering Association at www.wfca.org.